Popular Nigerian media personality and winner of Big Brother Africa season 5, Uti Nwachukwu has taken to Twitter to reveal that God has not given humans a spirit of fear but of boldness. Giantability News gathered that the former reality television star took to twitter on Sunday to reveal the information, adding what he hates about African pastors and ministers of God. 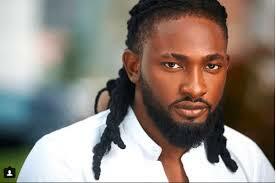 Uti rose to firm as a result of his representation of Nigeria in the Big Brother Africa 3 television reality show, of which he became the third evictee of that season from the house on Day 42 of the program aired on Television stations in Africa. However, in 2010 Uti competed again in the reality show for season 5 and lasted 91 days, eventually emerging as the winner and defeating Munya in the final vote by one. The 36-year-old is a native of Ndokwa from Aboh Kingdom in Ndokwa-East Local Government Area of Delta State Nigeria. Mixed reactions have trailed from twitter users even as the star who following the responses has said that faith is to God as fear is to the devil. “FAITH is to God as FEAR is to the Devil. Some of you have unknowingly been elevating and honouring the Devil in the same churches that you feel you are worshipping GOD! Open your eyes today and embrace Grace Faith and LOVE! God is LOVE …not fear !!! FAITH is to God as FEAR is to the Devil. Some of you have unknowingly been elevating and honouring the Devil in the same churches that you feel you are worshipping GOD! Open your eyes today and embrace Grace Faith and LOVE! God is LOVE …not fear !!! 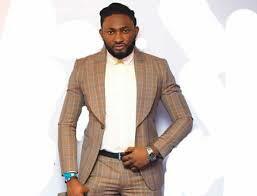 This entry was posted in Belief, Christianity, Entertainment, Faith, News and tagged Big Brother Africa, Pastors, Uti Nwachukwu. Bookmark the permalink.